Slowly crawling out of their caves to find print is in fact not dead, magazine media companies find that the world has changed and only the innovative will survive (more so than ever before). You would think brands like Vogue, Esquire, and People would have the legacy to ride into the future, but I can honestly say that companies I once would have died to work at are no longer quite so mystical as they once were. While I’m sure the world will always desire the unattainable fantasy of Vogue and Harper’s Bazaar, I’m beginning to realize that I’ve jumped ship. In preparation for meeting a lot of magazine professionals in New York, I began following companies like Vogue and Elle on social media. I quickly began to notice the monotonous hum of output they created. Their content mimicked each other, and I began to scroll by. They say it’s difficult to compete with the vast amount of content out there, but maybe the content has grown stale? Away from the world of Fall lipsticks and what outfit Kendall Jenner wore today is a land that I find myself starting to visit more and more. They call it the indie movement. Instead of being controlled by advertisers and fighting for crazy circulation numbers, indies embrace the unknown and the belief that consumers value content created thoughtfully over the black hole of immense quantity that traditional companies try to rev out every hour. As a consumer, I get bored with the same articles season after season, year after year. As a writer, I couldn’t place much value on many. While sometimes it’s nice to mindlessly read about celebrities and fashion trends, the lens gets old. It seemed to me that long-form journalism was just a nostalgic dream. I had Darling Magazine circling my radar for awhile but didn’t give it much thought. I didn’t think a magazine would ever captivate me enough to actually become a subscriber again. 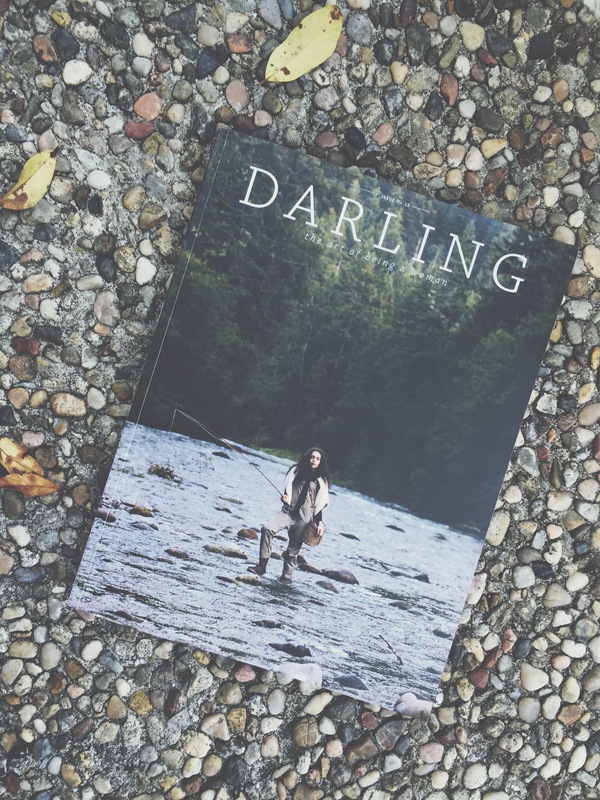 Ironically, as my time in NYC was nearing an end, my dad gifted me with the latest issue of Darling Magazine, a little motivation as my program wound down. 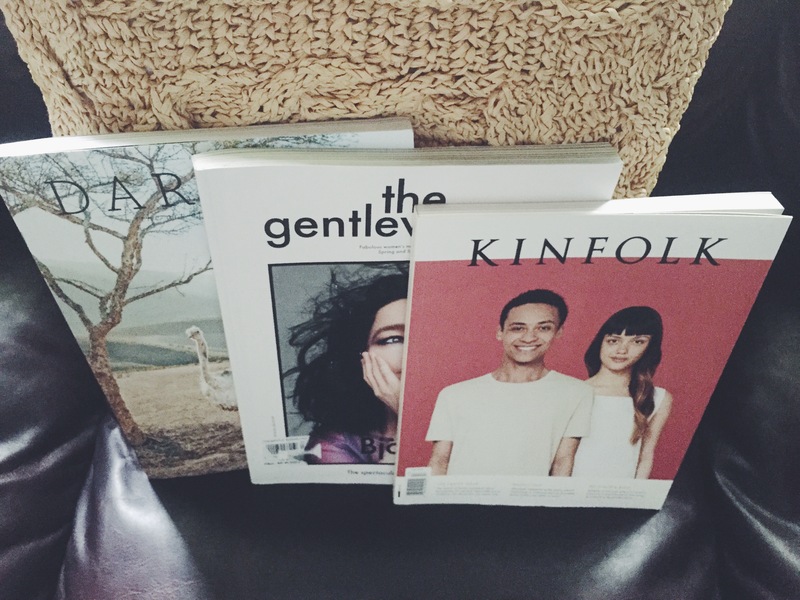 It was the most beautiful magazine I’d held in my hands– I didn’t even want to open it! I could proudly display it on my desk as something fresh and inspiring… substantial. But when I did open its pages, I was immediately taken aback by the letter from the editor, only a handful of pages in. For once it was like a magazine was reading my mind and knew my life story… my hopes, dreams, insecurities. Had it been a book, you would have found highlights on every page. In no way am I shaming anyone who still subscribes to traditional magazines, I still love National Geographic (despite growing controversy), The Knot (I’m engaged, it happens), Britain Magazine, and am known to flip through pages of anything if it’s put in front of me. These are personal preferences only! I love the Gentlewoman but I had never heard of Darling! Have to give it a try. The byline is The art of being a woman. Can you summarize how so? Awsome. I am going to explore now. Thank you.